Given the centrality of the ratings discourse to the everyday workings of the television industry in India today, I find it a bit surprising that we do not have a good historical account of the development of the ratings business. We’ve all heard of IMRB, TAM, and of course, the growing influence of Nielsen in the Indian market. 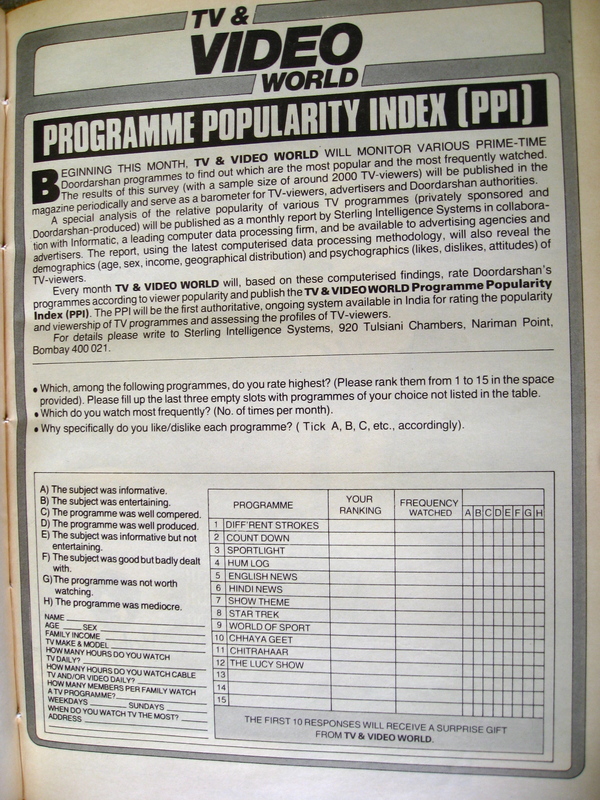 While these large market research companies dominate the scene today, the practice of rating the popularity and viewership of television programs was kicked off by a trade magazine called TV and Video World. You are currently browsing the BollySpace 2.0 blog archives for August, 2008.